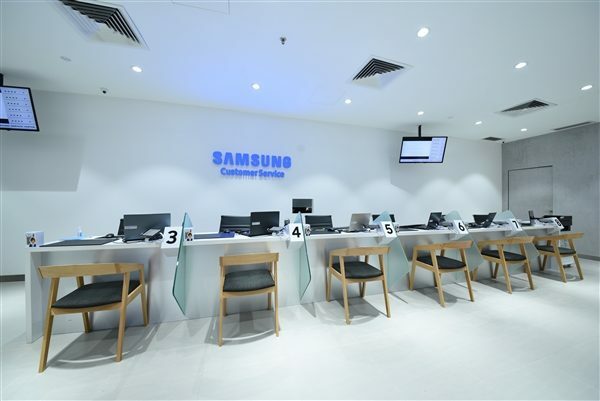 Samsung Malaysia Electronics has opened the doors to its new concept Premium Care Centre in Kuala Lumpur’s Plaza Low Yat, located at 4th floor, Lot 28. The front entrance of Samsung’s Premium Care Centre with comfortable sofas and a wide selection of reading materials and charging ports, available for customer convenience. With a total built-up of 2,200 square feet, an additional 600 square feet from its previous built-up, Samsung’s new concept Premium Care Centre is intended to be a one-stop servicing solution where consumers can head to for fast and convenient after-sales services. 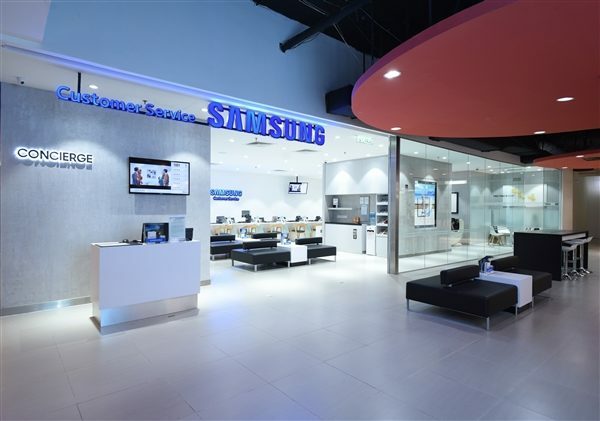 Samsung Malaysia said the centre has been optimised to eliminate long queue lines, along with a premium setting to include soft, plush sofas, air purifiers and complimentary beverages so visitors can wait for the repair of their devices in total comfort. Complimentary massage chairs for customers to relax while waiting to be served. Furthermore, a wide range of reading materials, charging ports, wireless internet access, and massage chairs combined with multipurpose discussion spaces have been made readily available for visitors to sit back and unwind in an atmosphere that is tranquil yet filled with entertainment to suit individual preferences. The interior of the premium lounge with customer service counters. 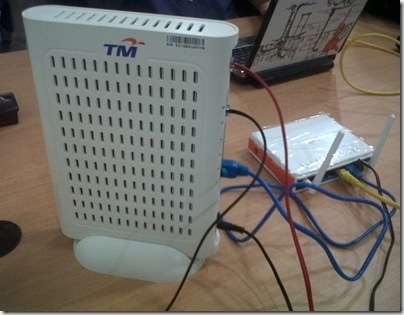 A key highlight of the Premium Care Centre is its one-hour mobile device repair service. As a company that is committed to providing exceptional after-sales services, Samsung aims to get repairs done within the hour through first-rate facilities and personalised attention by product specialists and technicians, it claims. 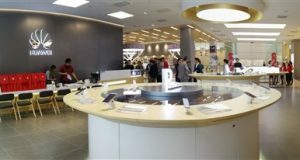 Apart from that, other services provided by the store include free device check-ups, cleaning services, and a Smart Learning station which provides informative tutorials on the benefits of Samsung apps and services. Through this upgraded Care Centre, Samsung hopes that consumers will have a more all-rounded and comfortable experience, from the start to the end of their mobile journey. To celebrate the opening of the Premium Care Centre, Samsung is introducing several promotions that can be redeemed exclusively at the Low Yat Premium Care Centre. From now till 31st May 2018, visitors of the Centre will get 30% off on any Samsung Smart Care service pack via the Samsung Members app. Moreover, visitors will be eligible for a 30% discount on all Out-of-Warranty device repairs at the Premium Care Centre. “We at Samsung are thrilled to finally open our new and improved concept Premium Care Centre, here in the heart of Kuala Lumpur. 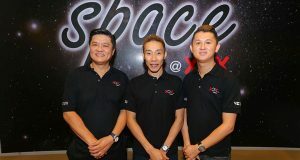 Plaza Low Yat is widely known to Malaysians as the tech central hub for consumers to head to, and we believe that this location will be an advantage positioning for after-sales services by Samsung. 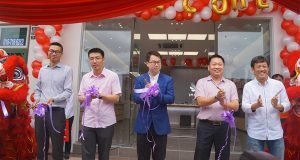 We are thoroughly committed to providing all Samsung mobile users the finest experiences in all facets of their mobile journey, and the re-opening of this centre is a testament to that,” said Yoonsoo Kim, President of Samsung Malaysia Electronics. For more details, visit the Samsung Malaysia website.